Mario fans, a major reason to rejoice! At Apple's September 7 event that is currently going on, Tim Cook and Mario creator Shigeru Miyamoto announced the very first official Mario-themed game for mobile devices - Super Marios Run will arrive on iOS just in time for the holiday season. Super Mario Run is essentially a 2D endless runner game that requires you to collect coins by running and jumping around the levels by tapping the screen. 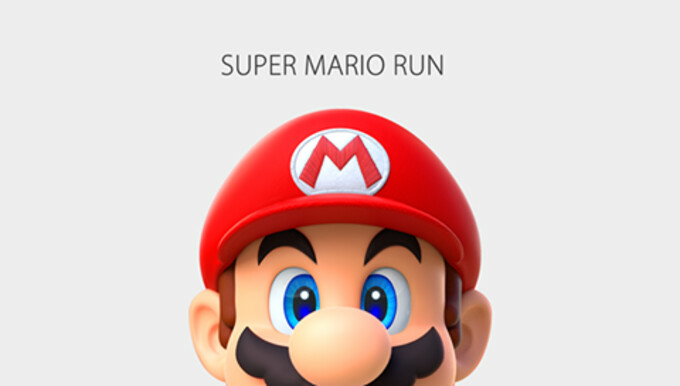 The longer you tap, the higher Mario will leap. Being an endless runner game, it won't allow you to control the movement of Mario, making the game easily playable with a single hand. Apart from the regular endless running mode, Super Mario Run will feature a so-called Toad Race mode that will allow you to compete against your friends' runs in an improvised asynchronous multiplayer. Probably the most important piece of news is that Super Mario Run won't be a free-to-play title riddled with in-app purchases, but a game with a set pricing that likely won't feature any artificial hurdles and timers. We are dead-set that it will feature some purchasable content, though. Super Mario Run will land later in 2016. Thanks, Mr. Myamoto! Thanks, Nintendo! Give us Mario kart with offline multiplayer. Finally. Nintendo are so so slow. They need a landscape mode like Rayman Adventures.